Dear Indian filmmakers, have you done your homework on mental illness? When you’re both a student of psychology and a film enthusiast, life gets difficult. You expect more in films that take on mental health issues. You fancy a concreter version of everything not just for yourself but also for the world to see. This is a bothersome characteristic I am having to live with. Though I understand it is not always about our expectation as an audience, but also the story the filmmakers work on, I do wonder why an industry well-stocked of intellectuals fails to provide accuracy when it comes to the miseries of the mind? Mental health has evolved from being a blanketed issue within discussions, but in films it either descends into cheesy romance (Barfi 2012) or is flowered with soul-searching desires that are too expensive (Dear Zindagi 2016). And if none are in order, slinking into ‘horror’ is the escapist’s choice (Phobia 2016). A lot of such errors come from our computed reliance on keeping films ‘filmy’. A good portrayal doesn’t mean it has to adhere to medical standards or research, page by page. But there are aspects that can easily be chucked and/or replaced to achieve a healthy storyline that is not slippery and at the same time stays cinematic. When Dear Zindagi attracted a plethora of mixed reviews, there was a lot to learn from it. Some critics asserted it as a good film to watch since it opened up a rather modern aspect of mental health care. But it executed the story with utter imaginary perspectives with Shahrukh switching professions from a therapist to a philosopher. Media then turned to practicing psychologists who too had mixed opinions based on the kind of treatment-approaches they follow, but everyone unanimously despised the way therapy was shown. We’re taking the example of Dear Zindagi because, thanks to Gauri Shinde, it is one of those films that sit on the fence of valid materialism, only it miserably fails when it moves further. It manages to sneak in stigma-busting messages like seeing a psychologist is as normal as getting medicine for malaria, and that conversion therapy is pious claptrap. But breaking the basic stigma cannot be considered a laudable achievement today considering the existence of films like Thaniyavarthanam, a Malayalam drama that did the same with a beautiful literature-like tale in 1987. If ‘mental illness’ is a genre at all, it aims a liability on the storytellers asking what is it that they want to tell the story about? Is it about the person who is ill? Is it about the ill person’s treatment or perhaps it is a story in which an ill person plays a part. 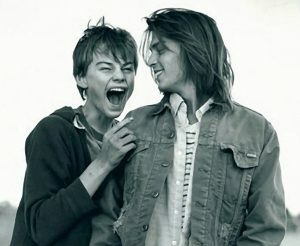 We have all watched Lasse Hallström’s What’s Eating Gilbert Grape (1993) in which DiCaprio’s character (Arnie) played the third kind magnificently, even when the film was never about his illness. The problem gets deepened as a result of the very stigma, that we otherwise keep condemning. Being an able minded person one is bestowed with privileges that need to be recognised. Hence, acknowledging films like ‘Bhool Bhulaiya’ or ‘Barfi’ for their ‘honest’ portrayals of mental illness puts us in a mistaken spot that reveals something about the credibility of filmmakers, as well as audience’s level of comprehension. Keeping this in mind let’s elaborate a few changes one can easily implement. Being the most beloved and risk-free motif, dissociative identity disorder (DID) carries thrill like none, and the world can’t get enough of it. Sybil, the 2 part TV movie that came in 1976 follows a young woman whose abusive childhood resulted in the emergence of 16 different personalities. It went ahead with a striking success due to its authentic portrayal and drew one of the best characters (16 of them actually) out of Sally Field. Shyamalan’s recent, Split, dragged it to the “24th” level, failing the disorder albeit in a pleasing manner. Indian audience signs up for a shabbier impression of it. Anniyan, Kartik Calling Kartik, Chandramukhi, its million remakes- you know the drill. The very idea of a person with DID comes as compelling. It lasts a weighty impact on people and ends up getting mixed with the dark side of showbiz. In the end, people take home the thespian version of a condition, wrongly infused with violence, romance and alter-egos that are viciously characterised. Loosening this obsession can result in better ideas for Indian filmmakers, and people like Gauri are already working on it. Anxiety, depression, body dysmorphia are some of the many conditions waiting to be cinematically explored and if one still wishes to go ahead with a character who has DID, designating them like an ill person makes more sense than a lauded beast (Aparichit & Bhul Bhulaiya). 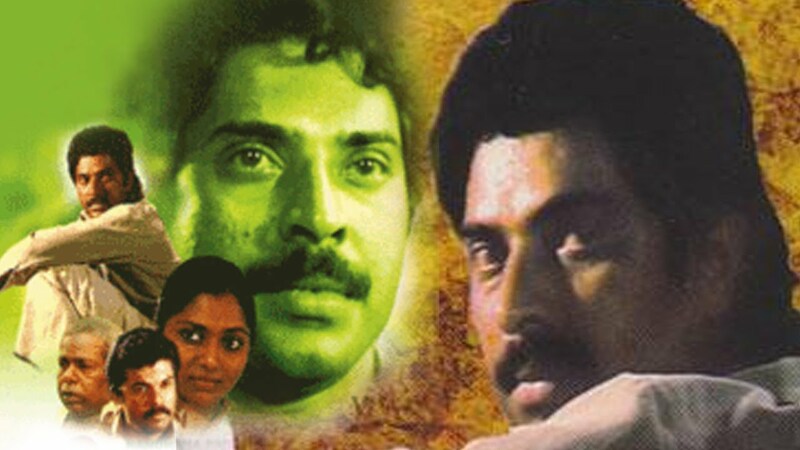 It’s not that films don’t touch that aspect, but before they do they squeeze numerous uncanny ‘masala’ out of it. When Priyanka Chopra played the character of ‘Jhilmil’ in Barfi, she was praised for her splendid performance as an autistic woman, and she should be. She pleasantly defines the role by letting the traits of her impairment be visible (too much at times), and her acting bears no fault that the film actually commits in dealing with autism spectrum disorder (ASD). This counts for better research prior to character formation. Not only Priyanka was made to over stress her signs of autism which went horribly wrong for what autism actually is, she was shown to have a higher emotional intelligence, which is too unreal for an individual who seems to have no sign of treatment going on. Again, this has nothing to do with Priyanka’s credibility but the clumsiness her character formation suffers and directors do this under a bagged assumption of an ignorant audience. 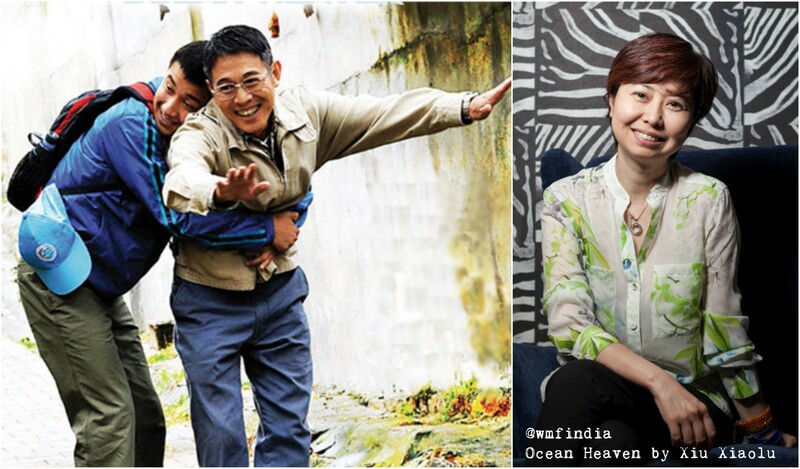 An exception for ‘autism films’ is Chinese director Xiu Xiaolu’s Jet Li starrer Ocean Heaven (2010) that sets a touching depiction of the disability with Wen Zhang bringing a severe manifestation to sheer brilliance. When one notices the thought that went behind linking Dafu’s (Wen’s character) meltdowns to his detachment from his father, one understands Xiu’s dedication in providing justice. Her accuracy comes from years of experience working as a volunteer at a care centre for autistic children in Beijing. 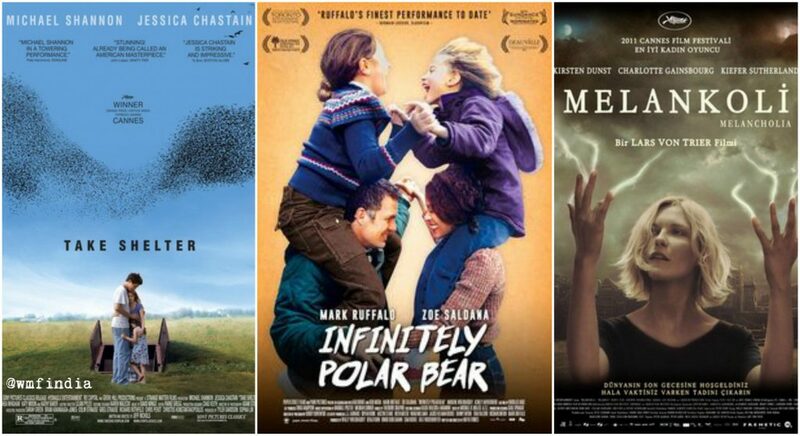 Infinitely Polar Bear (2014), Melancholia (2011) and Take Shelter (2011). If you haven’t watched these three films yet, make them your priorities. It’s one thing to watch a film based on mental illness and another to watch one about it. This is what Maya forbes, Lars Von Trier and Jeff Nicholas have respectively done in their features taking an immersive approach, where the way of communicating the genre to the viewers is not based on the story but the articulation of the film itself. Through the many scenes of Infinitely Polar Bear where the manic-depressive phases of Cameron (Mark Ruffalo) are artistically understood, Maya not only accomplished a sublime depiction of bipolar disorder, she also did it in an absolute feminist way. Same goes for the way Melancholia and Take Shelter are made keeping in mind the similar style of symbolic delivery. For the Indian fraternity this is an easy initiative to carry since the filmmakers hold a great potential in creating scenarios that are very telling of the film’s conflicts. An imaginative example is the smooth way Kapoor and Sons’ plumber scene works out with sudden tensions pinching us in the right parts. Now imagine the same scene being played with the knowledge that Rahul (Fawad Khan) has generalised anxiety disorder (GSD). The occurrence of events will relate to his illness so well, it will almost feel like being inside his head. Of course drama plays a superior role in tethering the story to its viewers but it is also an active ingredient that requires smart usage. This is where most Indian films fail and so does the listicle media that covers them. A section of people will argue for the nitpicky behaviour of this piece based on the historical foundations of movie-making. Why something that we measure alongside the size of our popcorn tub should be close to the realism we wish to deny in the first place? The answer is simple: because we still remain unaware of the cognitive influence cinema is capable of, and for a genre as delicate as ‘mental illness,’ this is a rational grounding. Observation suggests that independent cinema appears more learned of this capability than the commercial sector. Of course drama plays a superior role in tethering the story to its viewers but it is also an active ingredient that requires smart usage. This is where most Indian films fail and so does the listicle media that covers them. A detailed representation amounts to progress with a win-win situation for both the artists and the activists. If, through films like ‘Dear Zindagi’, we have knocked on the doors of therapeutic treatments let’s rectify the mistakes by pragmatically producing them in future. Instead of letting SRK inhabit the charisma of a beauty-is-in-everything thinker, let’s show the audience how concepts like thought-replacement, rational emotive therapy, humanistic approach actually works. Let’s write an intenser screenplay with heavy conversational exchanges pertained with lengthy shots capturing the client’s growth. There is a difference in films that openly deal with mental illness and those which use it to certify their persona. The latter takes us back to a world where stigma wins all corners. It’s a universal belief that the film industry does not actually care about accurate portrayal, but this belief is rather abysmal. 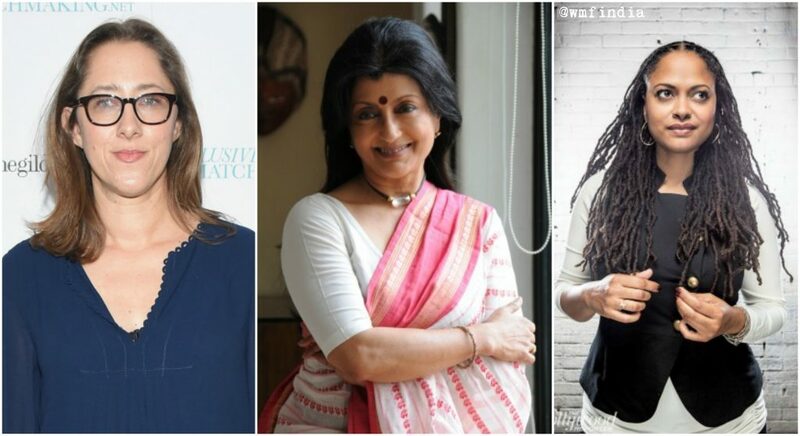 The era of progressive filmmakers is building at an intersectional pace and women like Maya Forbes, Ava Duvernay and Aparna Sen are standing at its forefront. Personal is in fact political when it comes to mental illness. Accepting it as equivalently as physical illness takes an additional effort. Perhaps it will take more time for the Indian celluloid to apply that in its work but if googling ‘Indian films on mental health’ still results ‘Ghajini’ and ‘My name is Khan’ on your screen, how far do you think we have come in using art to address the prejudice? This article has been written by Prateek Sharma and is part of the ‘Misguided Portrayal’ series. 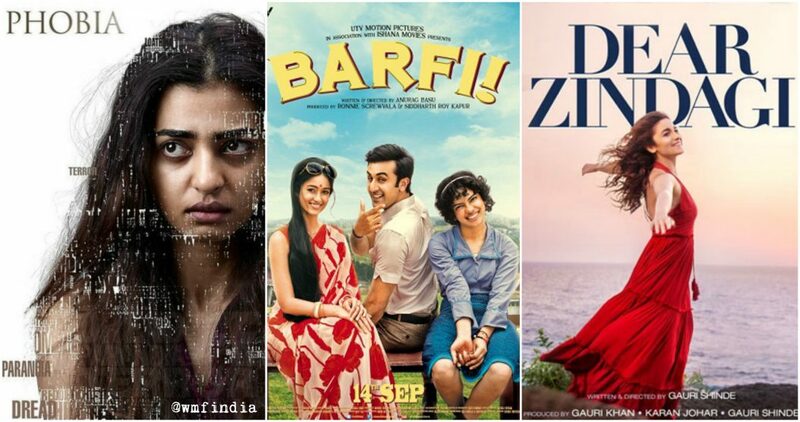 Indian cinema and its misguided portrayal of “strong” women!